Syngas can be burned in a boiler to generate steam for power generation or industrial heating. Syngas can be used as a fuel in a dedicated gas engine. Syngas can also be used as a chemical feedstock. Gasification has been used worldwide on a commercial scale for several decades by the chemical, refining, fertilizer and electric power industries. MSW gasification plants are relatively small-scale, flexible to different inputs and modular development. The quantity of power produced per tonne of waste by gasification process is larger than when applying the incineration method. The most important reason for the growing popularity of gasification of municipal wastes has been the increasing technical, environmental and public dissatisfaction with the performance of conventional incinerators. Plasma gasification uses extremely high temperatures in an oxygen-starved environment to completely decompose input waste material into very simple molecules in a process similar to pyrolysis. The heat source is a plasma discharge torch, a device that produces a very high temperature plasma gas. It is carried out under oxygen-starved conditions and the main products are vitrified slag, syngas and molten metal. Vitrified slag may be used as an aggregate in construction; the syngas may be used in energy recovery systems or as a chemical feedstock; and the molten metal may have a commercial value depending on quality and market availability. The technology has been in use for steel-making and is used to melt ash to meet limits on dioxin/furan content. 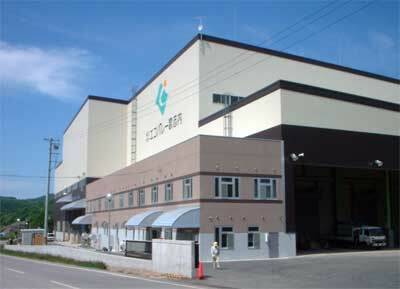 There are several commercial-scale plants already in operation in Japan for treating MSW and auto shredder residue. There are numerous solid waste gasification facilities operating or under construction around the world. Gasification of solid wastes has several advantages over traditional combustion processes for MSW treatment. It takes place in a low oxygen environment that limits the formation of dioxins and of large quantities of SOx and NOx. Furthermore, it requires just a fraction of the stoichiometric amount of oxygen necessary for combustion. As a result, the volume of process gas is low, requiring smaller and less expensive gas cleaning equipment. The lower gas volume also means a higher partial pressure of contaminants in the off-gas, which favours more complete adsorption and particulate capture. Finally, gasification generates a fuel gas that can be integrated with combined cycle turbines, reciprocating engines and, potentially, with fuel cells that convert fuel energy to electricity more efficiently than conventional steam boilers. The gas resulting from gasification of municipal wastes contains various tars, particulates, halogens, heavy metals and alkaline compounds depending on the fuel composition and the particular gasification process. This can result in agglomeration in the gasification vessel, which can lead to clogging of fluidised beds and increased tar formation. In general, no slagging occurs with fuels having ash content below 5%. MSW has a relatively high ash content of 10-12%.